I wipe the sweat off my brow and stare into the distance so I could readjust my eyesight after staring at a small plot of weeds I had been pulling for the past thirty minutes. For the past couple months, I’ve been volunteering at a community lot-to-garden space in Los Angeles. 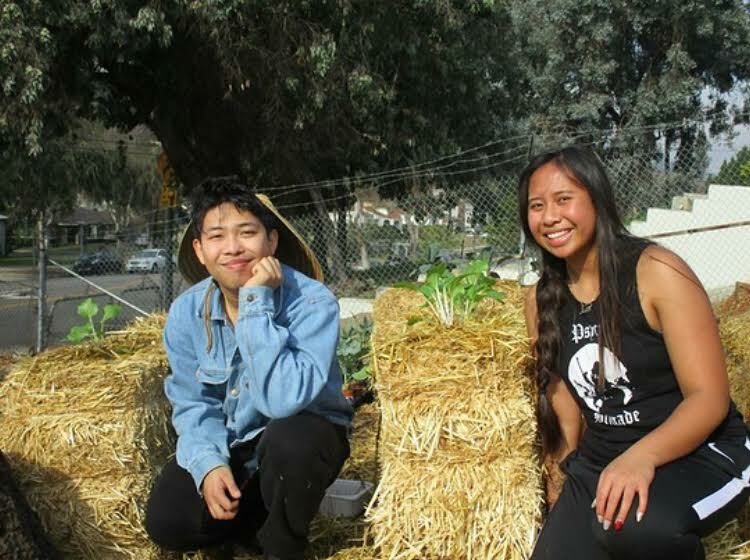 The group that runs it, The Regenerative Collective, is a small band of autonomous organizers committed to converting an abandoned gas station into a community garden space. For the past two months, I’ve been pulling weeds, planting native California plant species, and breaking down — or more specifically, decolonizing — the concept of sustainability and environmentalism. Ever since growing up (for church, social gatherings, etc.) in the East LA neighborhood of Highland Park, I have bore witness to the monumental changes to the community’s landscape. New coffee shops, businesses, and the like were opening up every month. I didn’t understand it back then, but I was seeing gentrification happen before my eyes. When I first came across The Regenerative Collective, I first wondered what organization is sponsoring this incredible initiative? After coming up empty on Google searches, I came up empty-handed. I eventually visited the site to volunteer and casually slipped the question to them. Joe, one of the lead organizers at the garden sort of chuckled and replied “the community!” I was amazed. There was no direct funding for these projects; rather, it was through neighborhood know-how, informal networks, and the long-standing love of the residents that propelled the community to reclaim the space. I’ve been coming every Sunday ever since and together we’ve turned a decrepit lot on the corner of Huntington Dr. and Collis Ave. into a beautiful green space. Every Sunday I meet new faces and run into familiar ones. Every other week someone from the neighborhood stops by and asks what we’re up to. Some take it a step further by making a commitment to volunteer with us. It is an absolute pleasure to be working with CivicSpark, and I am excited for my project to trickle into the coming year. Notwithstanding, my time volunteering with the Regenerative Collective reminds me that my work is confined to a system, an institution that has so much more to go. Autonomous organizing from the community should never be cast as an inferior alternative. In fact, there is so much to learn from these alternative operations. To expect validation from a system should never be a measure of success. Success can be measured by how many local faces you can remember without feeling the pressure to network, how many native plant species you could discern without feeling inadequate for not knowing everything, or how many families your plants could feed without expecting a return on the investment. When we alter these systems of thinking, that is when we — excuse the pun — can get to the root of today’s most pressing socio-ecological issues.